The doctor is in, and he will see you now, although you might not want to see him. 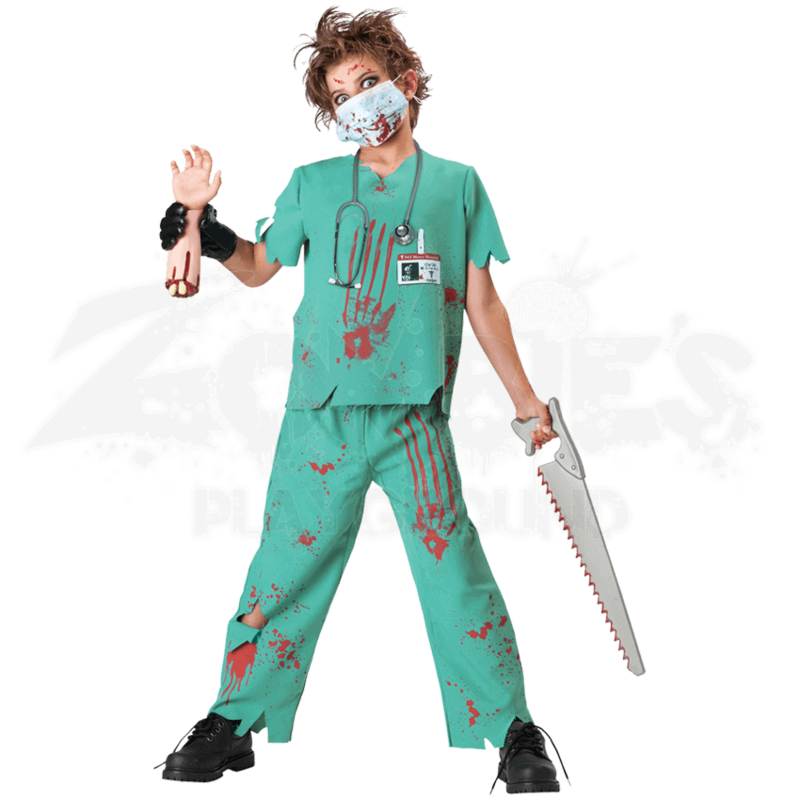 This Dr. N. Sane Boys Costume will transform your young boy into a real terror, one right out of a horror scene and right at home in the midst of a zombie outbreak. This costume is a classic doctors attire, including the traditional pale green scrubs, although they have been given a more nefarious twist. Blood spatters and streaks both the shirt and the pants, including a pair of bloody hand prints that make it seem like this doctor has no problem getting in the middle of things. An added touch is the name-tag, which is printed directly onto the shirts fabric. 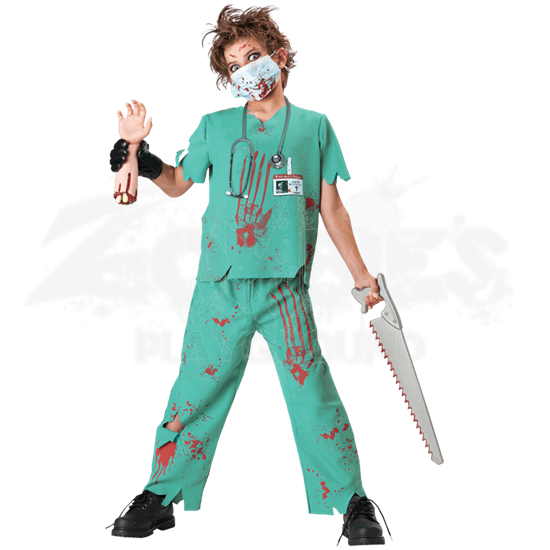 A vinyl hand prop comes with the costume to make it look like this doctor has taken a recent sample, while the classic surgeons mask, covered in blood spatters, only makes this M.D. costume look all the more frightening. Even children are not immune to the contagious horror that zombies bring, and now, with this Dr. N. Sane Boys Costume, they can join in the fun and the fright right alongside their friends and family!